Super Hits of the 70’s Vol. 11 – Have a Nice Day! If you caught the Time for Timer references, you are probably itching to watch the “Hanker For A Hunk Of Cheese” video. Enjoy! 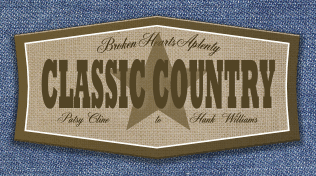 I rarely admit it but ive got a soft spot for classic country! Now that brought back memories. When I was little my Mom would play all those classics by George Jones, Tammy Wynette, Lynn Anderson, Patsy Cline, etc. – I know every word to every song in this list … how scary is that? There’s something about the classic country that feels as good, doesn’t it? Ha! I posted similar thoughts in my own blog not too long ago; you have a much more extensive list, though. And that “Hanker for a Hunk of Cheese” clip rounded it out nicely. Were you spying on my childhood? Country music, children’s educational TV spots and beards. I feel so macho! Great music….hope you keep it going and thanks. Can’t find this on the radio where I live.